Convert Outlook items from PST into multiple formats using Outlook Conversion software. 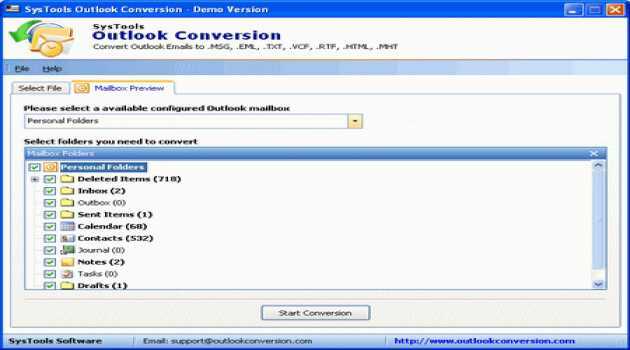 You scan convert Outlook emails in different formats like EML, MSG, RTF, TXT etc. Also convert configured as well as orphan PST files easily.